All of my chairs start the same way….., with a walk in the woods. This little ritual isn’t just to get me into the right head space for the work ahead. It has a more fundamental purpose. Out in the woods are where my chairs are born. Chairs are made of wood, wood comes from trees and trees are found in the forest. So here I am, in the woods, looking for a suitable tree. I live in the central interior of British Columbia. That means my selection for suitable trees is fairly limited. Hardwoods do not abound here like they do in the east. Essentially, I’m looking for a birch. 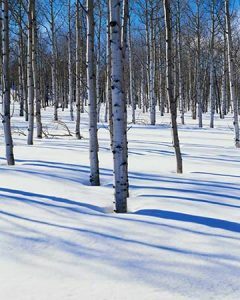 Birch is like the Swiss army knife of trees. It’s really good at everything without specializing. It works easily (especially when it’s still green), bends well, has good strength and looks great. Since I only have one choice for my chair wood, I’m glad it’s birch. I harvest the wood for my chairs from close to home so I’m very particular about what tree I’m looking for. It needs to be straight and nicely rounded with no branches or obvious defects in the lower half of the tree. Its removal also needs to be beneficial to the rest of the forest. I want my woods to be healthier and prettier as a result of taking this tree down. So I have a list of criteria that it must meet. Is it growing too close to another birch? Are there smaller trees that are being stunted because of the shade my choice is casting? Has it reached maturity and started dropping branches? Is it easy to get to without having to take down other trees? Once I’m satisfied that the tree is suitable and that the forest will benefit from its removal, its time to put it on the ground and get to work!